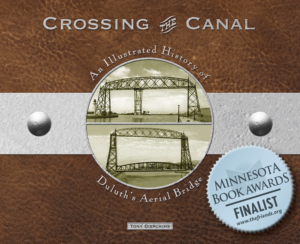 When Duluth became an international port it was a big deal—for the entire state. Minnesota commemorated the event by constructing a large gold-colored statue of Neptune, Roman god of the seas, and displaying it at the State Fair. 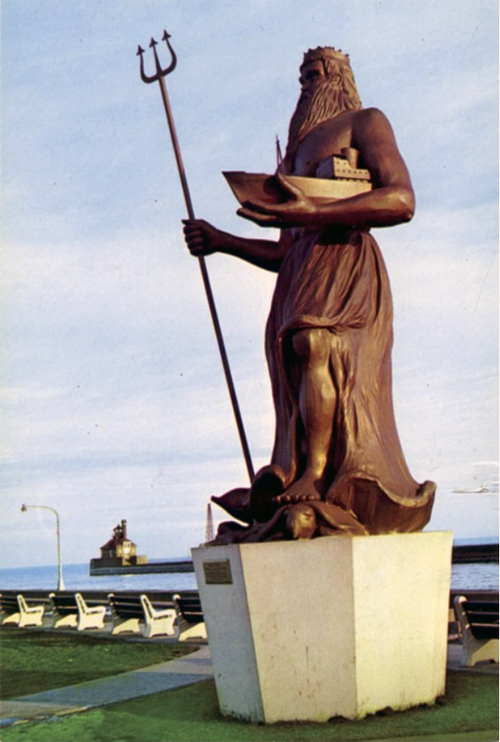 Standing twenty-six feet tall on a concrete base, the statue depicted Neptune brandishing his trident in his right hand as he cradles a ship in his left—a replica of the freighter Ramon de Larrinaga, the first ocean-going vessel of the modern era to pass through the Duluth ship canal and under the aerial bridge. After the Fair ended, its board donated the statue to Duluth. 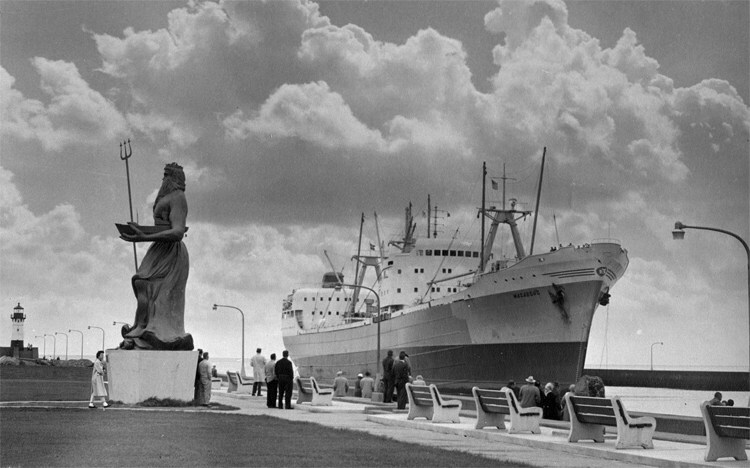 It was installed on the canal’s North Pier and heralded by Mayor E. Clifford Mork as a “tremendous tourist attraction.” Many Duluthians thought the statue just plain ugly. For those charged with maintaining it, the statue was a headache. Neither stone nor metal, the statue was made of fiberglass and a “weatherproof plastic component.” Soon the statue was pock-marked with scars from rocks tossed up by the lakes waves and misbehaving children. Workers constantly patched and repainted the statue, costing the city about $300 a year to maintain it (close to $2,000 in 2008, adjusting for inflation). In 1963, those maintenance woes were solved in a matter of seconds. While taking the statue off its pedestal to perform major repairs, workers using torches to free the structure from its internal supporting pipes accidentally set the statue ablaze. It took just a few minutes to turn it to ashes. The material inside the fiberglass outer shell turned out to be nothing more than papier mâché.